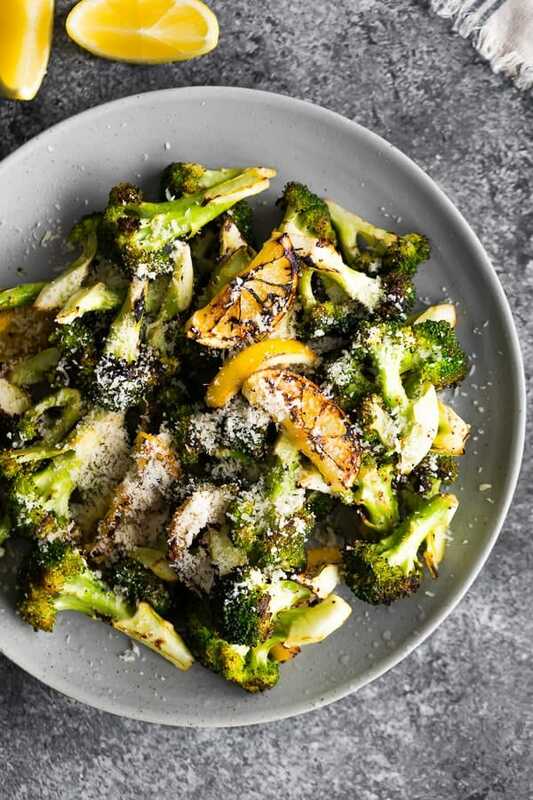 Move over roasted broccoli, because grilled broccoli is the PERFECT alternative for summer! This simple recipe has 4 ingredients and is ready in 20 min. Roasted broccoli is all the rage, but who wants to turn the oven on in the summer? Certainly not me. 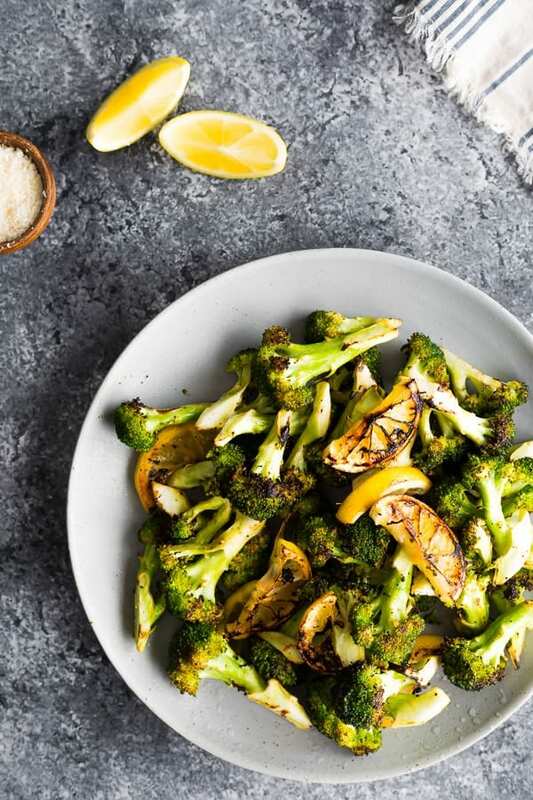 We’ve been grilling our broccoli lately and it’s so similar in flavor to roasted broccoli…it gets slightly crispy, and almost sweet with brown caramelized bits. And the best part is how simple it is to cook! You can have this grilled broccoli on your table in under 20 minutes! tastes just as good as roasted broccoli! remove from grill, sprinkle with parmesan, and enjoy! I own! Otherwise you might even consider skewering your broccoli to make it easier to grill. What other seasonings can I used on this grilled broccoli recipe? Sesame broccoli: swap the olive oil for sesame oil; top with sesame seeds (omit the lemon & parmesan). Lemon & feta- swap the parmesan for feta and fresh mint. Chili Lime- Try chili powder and lime, or even this lemon herb seasoning recipe! 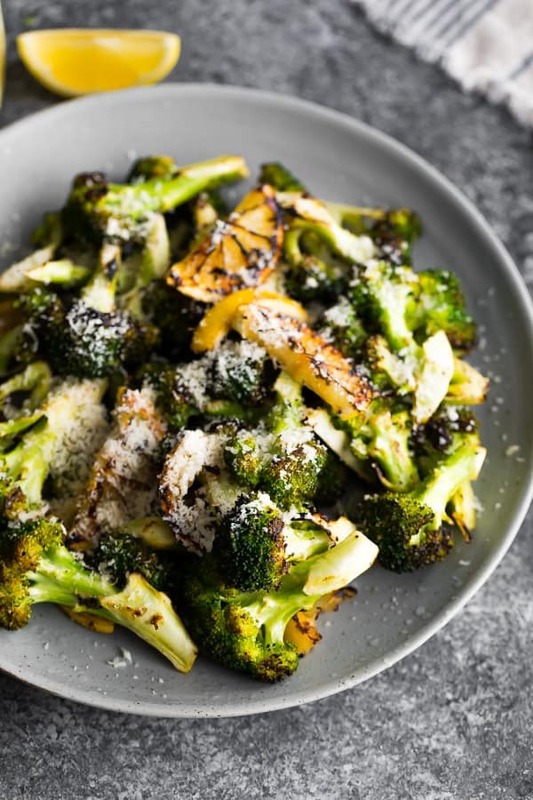 A simple grilled broccoli recipe with lemon and parmesan-- perfect for a light summer side dish and ready in under 20 minutes. 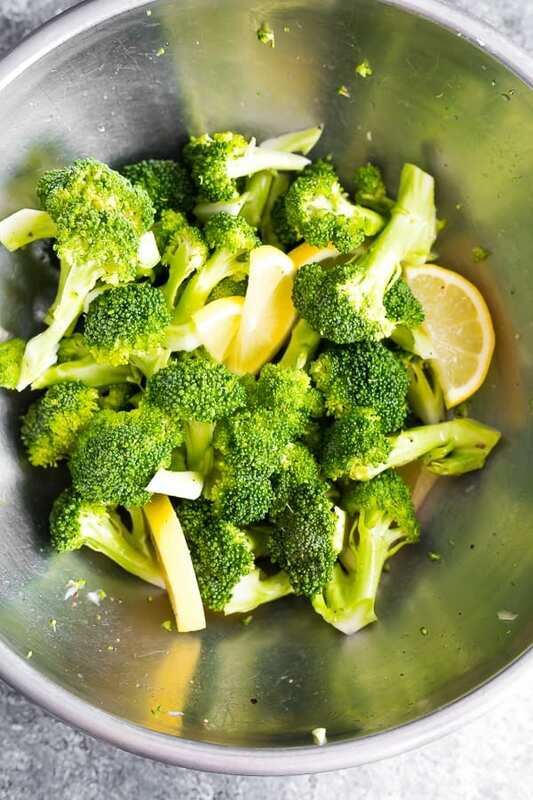 Toss broccoli florets with olive oil, lemon juice and lemon slices. Season with salt and pepper to taste. 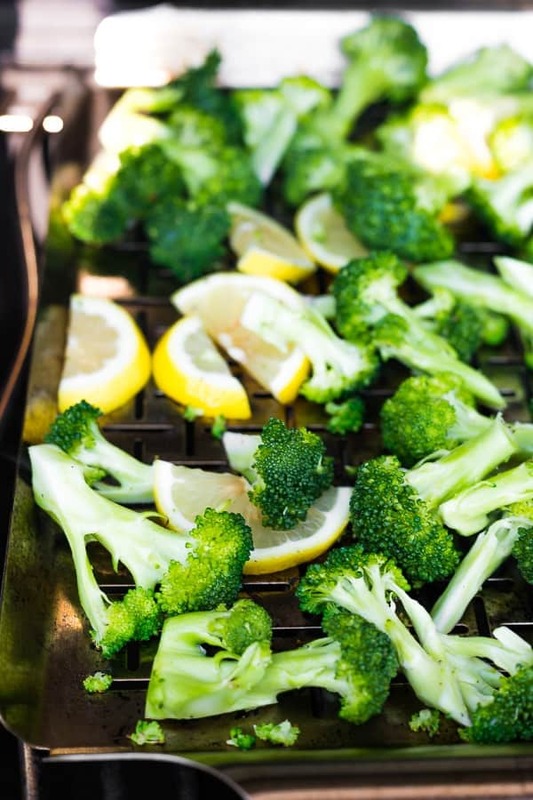 Grill broccoli (I recommend using a vegetable grilling plate) for 7-10 minutes, stirring every couple of minutes. Broccoli is done when it is bright green with some crispy, brown bits. 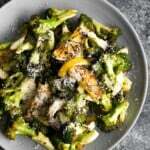 Transfer broccoli to serving plate, sprinkle with parmesan cheese and serve. This broccoli recipe is best served right after cooking, however you may pre-chop the broccoli florets and store in the fridge for up to 5 days. I love the idea of grilling broccoli! Never tried before, but can’t wait!